​Today the top picture came up on my Facebook memories. A lovely reminder of how far Dylan has come in such a short space of time. 3 years ago Dylan independently asked for money using his iPad. Just money. You can see the simple layout of the screen and limited range of communication options. Fast forward three years and the progress and complexity of Dylans communication is evident. He can exercise a range of options and is developing an understanding of various transactions to be able to purchase items he needs/wants. The Proloquo2go has evolved with his growing needs and is being added to daily. 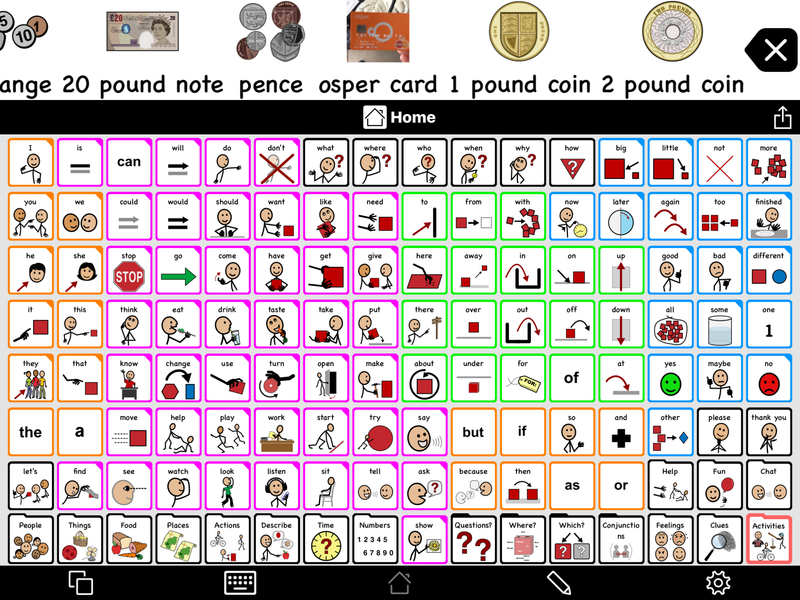 Having started this AAC journey independently as parents without professional support we have relied mainly on the Internet and seeing a small amount of YouTube videos on the subject to learn how to make communication a reality for Dylan. Introducing AAC has by far been one of the most positive and life changing decisions we have ever made. Communication is a fundamental right and one that I so wish we explored and exercised much, much earlier. Wows that’s lot of words. Go Dylan and yay for money skills. Me am needs help with those sometimes. Me am happy and proud for him. And for you such good parents really believe and work with him.